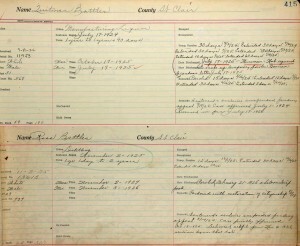 Two young men from St. Clair County, Alabama, were sent to state prison in Alabama in the 1920s. I was intrigued by those records in particular for two reasons. And secondly, the records show that these two men — convicted of very similar crimes and given very similar sentences — were treated in all but one respect in very similar ways. Each of them was left out on bail while he appealed his conviction and sentence. Neither of them spent very much time in the hoosegow. Both had periods of extended temporary parole. It’s that second part that needs some explanation. Historically, in the United States, conviction of a felony — often defined as “any public offense on conviction of which the offender is liable to be sentenced to death or to imprisonment in a penitentiary or state prison”5 — resulted in what was called a “civil death”6 — the loss of some or all civil rights. But the provision that’s been the most controversial is disenfranchisement — loss of the right to vote. As far back as the Constitution of 1819, Alabama provided that “Laws shall be made to exclude from office, from suffrage, and from serving as Jurors, those who shall hereafter be convicted of bribery, perjury, forgery, or other high crimes or misdemeanors.”9 The Alabama Constitution of 1875 denied persons “convicted of treason, embezzlement of public funds, malfeasance in office, larceny, bribery, or other crime punishable by imprisonment in the penitentiary” the right to register, vote or hold public office.10 These offenses were largely, if not entirely, felonies. In Alabama, today, thanks to a 2003 amendment in the law, it’s easier for an ex-convict to regain the right to vote.17 That change came far too late to help my cousin Quitman. And, but for the stroke of the Governor’s pen on a 1927 pardon, my cousin Ross would also have been among the ex-convicts who couldn’t vote. 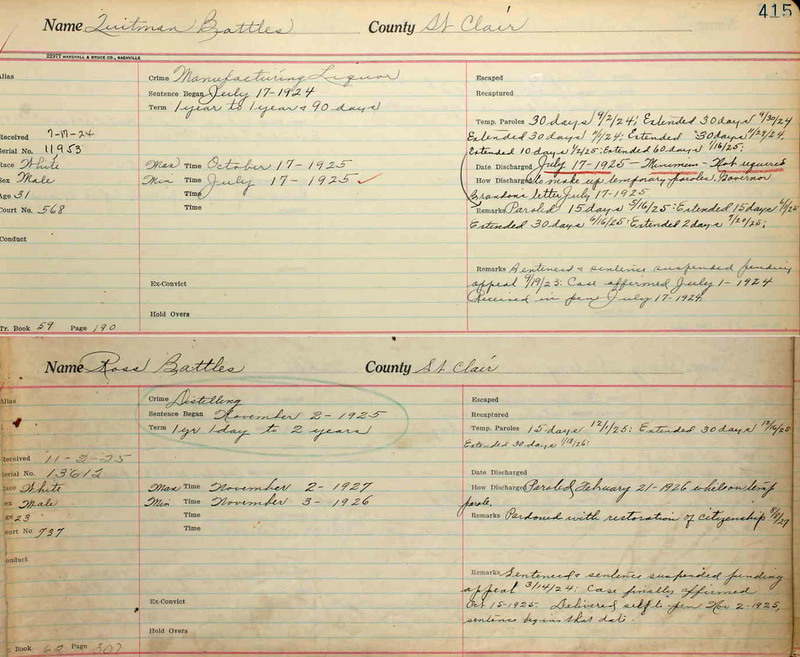 Just one more thing to keep in mind when perusing those genealogical records… and maybe both a reason to look at the prison records, and an explanation why a cousin just might not be found on a voting list. Dang, Judy. I’m even forwarding these to cousins now. If they are wise, they’ll sign up on the blog. And I thought my lawyer was the only fun one around. Shhhhhh! Don’t tell people lawyers can be interesting! We’ll lose our membership in the American Bar Association! Good to see another Battles around! Just sent you an email on this family.